Ruello's commissions installed at 500 w 2nd. Kinzelman Art Consulting partnered with Trammell Crow Company and CBRE on their new skyscraper located in Downtown, Austin. In close proximity to Austin's beloved Lady Bird Lake, the striking 500 West 2nd Street space, designed by Gensler, holds an impressive collection of tenants. The project goal was to activate the lobby with boldly infused color, and reflect Austin’s iconic flare. Esparza's wall-based sculpture in the lobby space. "Art brings a new set of rules and compositions that juxtapose with architecture in ways that are unexpected and can be serendipitous. This building and lobby were conceived as hierarchic, one leading to the other and vice versa where momentary interruptions in the order allow for the individual to contemplate and enjoy being transported by the art." El Paso-based artist Adrian Esparza, represented in Dallas by Cris Worley Fine Art, was selected to address the largest wall with his signature sarape artwork. This impressively sized piece, scaled specifically for the vertical wall, offers a visual push-pull effect with bold contrasting colors. 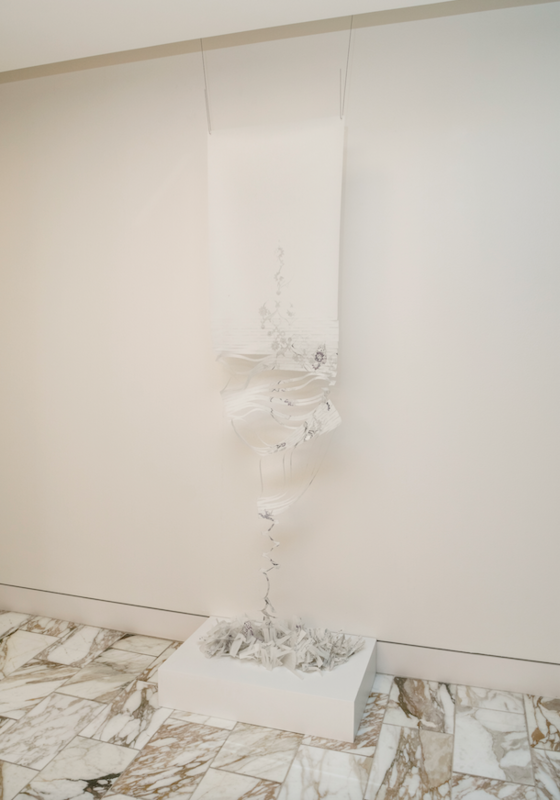 The unique material usage in Esparza's work forms a natural dialogue across the lobby, where Erin Curtis’s equally active cut and layered painting is installed. Although indicative of Curtis's body of work, this piece in particular is intended to mimic the rapid growth and vibrant spirit of Austin, TX, where Curtis also resides. Curtis's cut and layered painting in the lobby space. 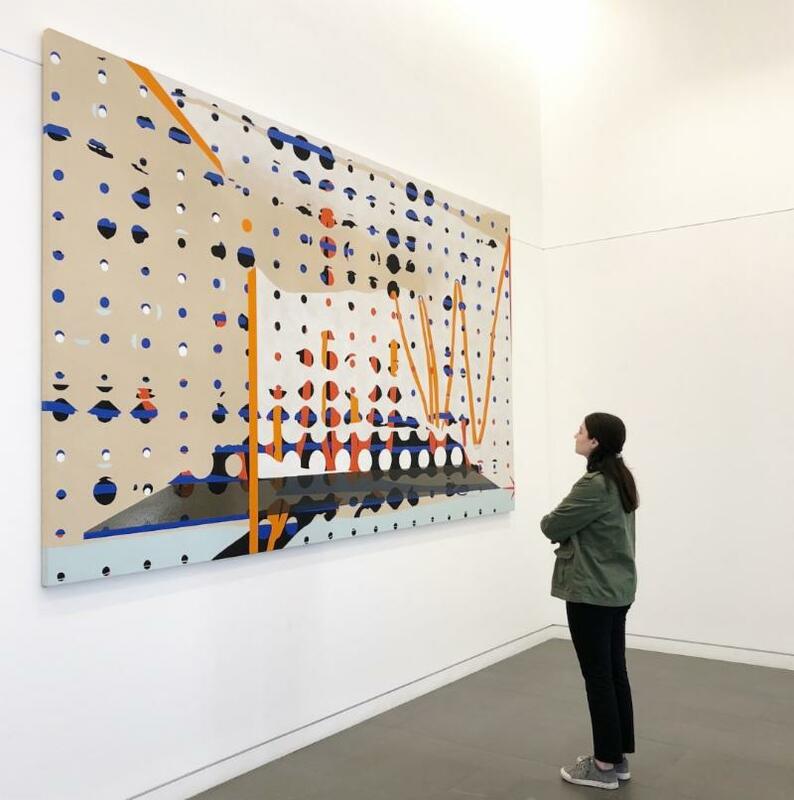 The collection continues around the corner with two large-scale paintings by Houston-based artist Robert Ruello, represented by Inman Gallery. These are Ruello’s largest works to date, functioning as murals to tenants entering the building through the garage elevators. Ruello digitally renders his compositions, then carefully transfers them onto canvas using tracing paper and various densities of paint and flashe. This technique informs a unique visual language transitioning between moments of bold expression and negative space. The building's collection upstairs includes works on paper by Nicola Lopez and Ross Bleckner, and a site-specific installation by Paul Fleming.
" KAC was wonderful to work with and made the entire process of selecting, commissioning and installing each piece at 500 W 2nd Street stress free for the ownership team. The art has completed our lobby and activated the borders of the space while staying true with the original design intent. Our tenants enjoy the pop of color and the energy it brings to their daily life. " 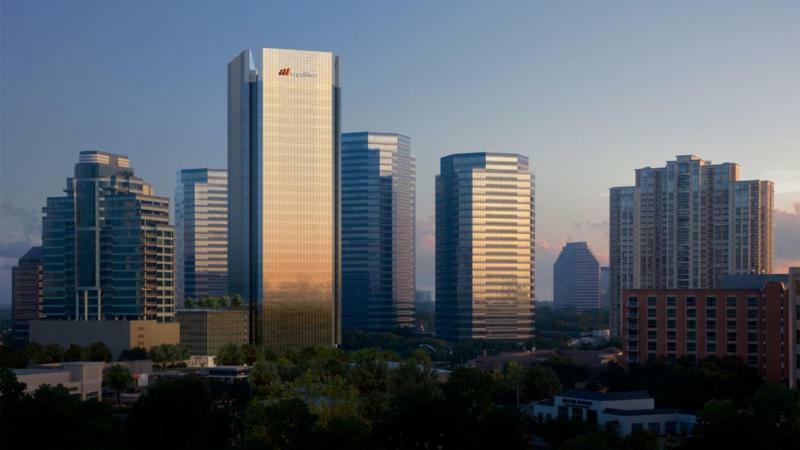 When the Australian mining company, BHP announced their plans to construct a 600,000 square foot sky scraper designed by Pickard Chilton of New Haven, Connecticut along the bustling Post Oak Boulevard in Houston, Kinzelman Art was honored to be selected to place a prominent work of art within the refined lobby. 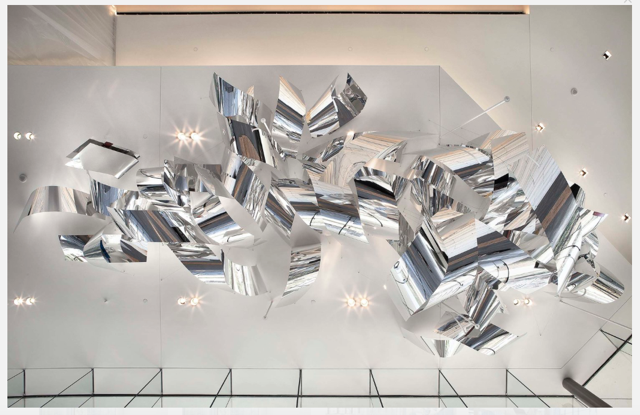 On behalf of BHP and in partnership with Gensler, KAC led the process of selecting New York based artist, Sharon Louden, represented by Morgan Lehman Gallery to create a site-specific sculpture suspended from the 30 foot high lobby ceiling. 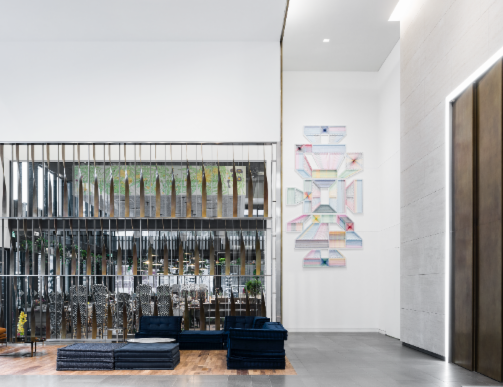 Louden's ongoing exploration of compelling materials such as large swaths of mirror-polished aluminum set the stage for a dynamic, yet refined installation. The cascading sculpture creates a fluid composition that one could relate to the mining industry and natural geological formations. Among the multi-faceted aspects of the overall work of art is its ability to physically reflect the surrounding environment and changing light as well as the movement of pedestrians below. CLICK HERE to watch Glasstire's artist interview. This project was completed in collaboration with representatives of BHP, Pickard Chilton, Gensler, Harvey Builders, Cushman & Wakefield, Morgan Lehman Gallery, and TYart Museum Quality Services. KAC announces a solo exhibition with Houston artist Hillevi Baar on view at Gensler Houston. 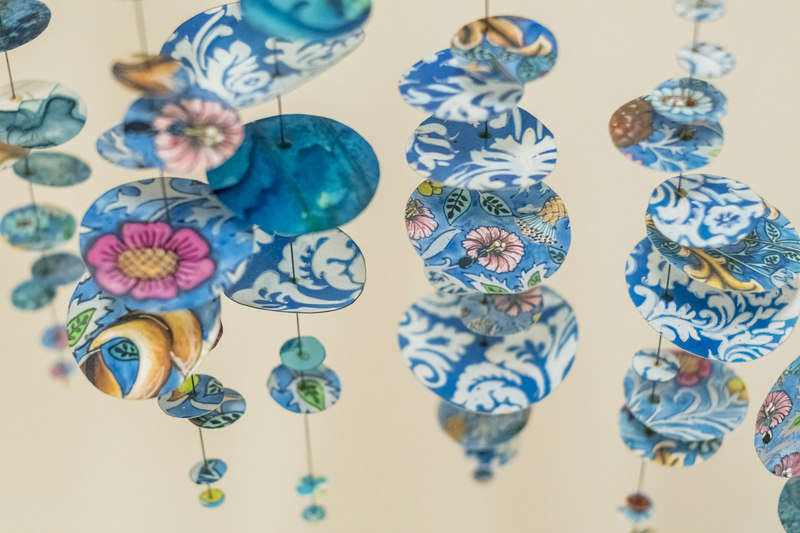 The inspired creator of intricate installation-based works, Baar views herself as not only an artist but also as a facilitator who assists her medium of Mylar to reside in it's intended and natural state. Her active interplay with medium explores variations in form, often derived from interactions observed between wind, water, plant life and shadow play. 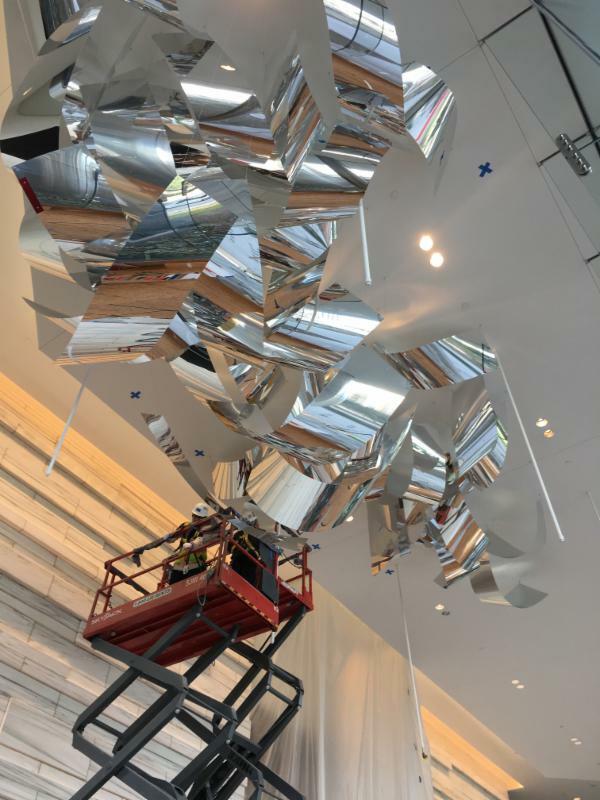 Baar’s experimentation with Mylar is particularly evident in "Float," a site-specific installation created for Gensler’s reception. This elegant suspended sculpture investigates the balance between meticulous strategizing and spontaneous on-site manipulation in response to the environment. Baar began creating this piece by carefully scoring the Mylar to intentionally mimic the linear forms throughout Gensler’s space. 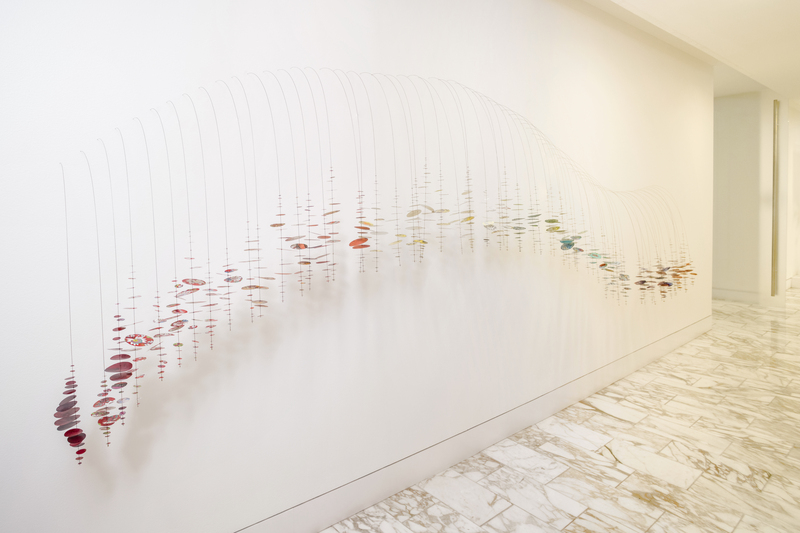 References to nature are also seen in "Wild Flowers," a wave-like form installed along Gensler's Conference Corridor comprised of Mylar and steel pins resembling delicate branches. These complex elements seem to grow from the wall, fusing into one fluid shape that gently sways with the flow of foot traffic. These slight movements expose individualized drawings hidden between the intricate layers. 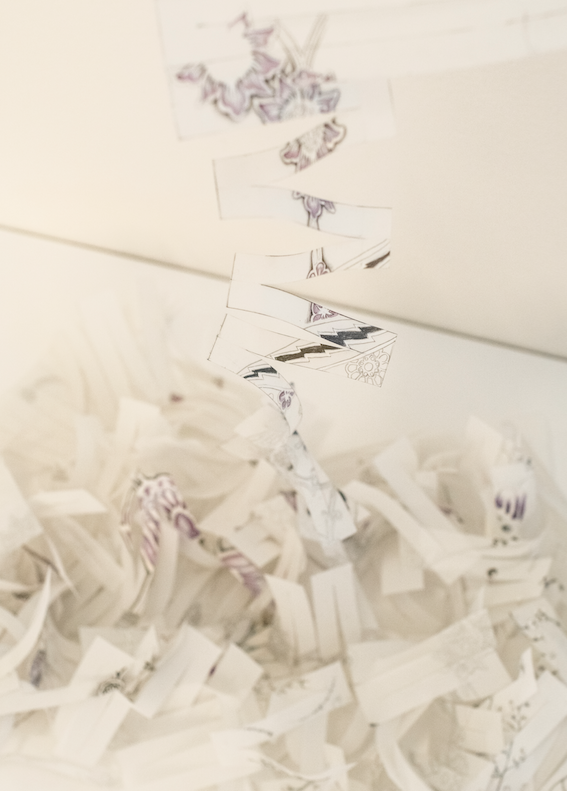 This interactive component allows the viewer to experience the piece in its entirety, while also inviting the study of each self-contained drawing. Conversely, "Unraveled" in the Coffee Corridor beckons the viewer to quietly approach the finely cut and tapering suspended Mylar sheet to fully experience the highly detailed graphite drawings within. Baar is continuously experimenting with the dimensionality and boundaries of medium to transform the environments of numerous corporate and private spaces. This exhibition was curated by Kinzelman Art Consulting on behalf of Gensler. Kinzelman Art Consulting is celebrating the completion of a two-story geometrical wall mural, Color Field, commissioned by artist Mokha Laget, represented locally with Gallery Sonja Roesch. 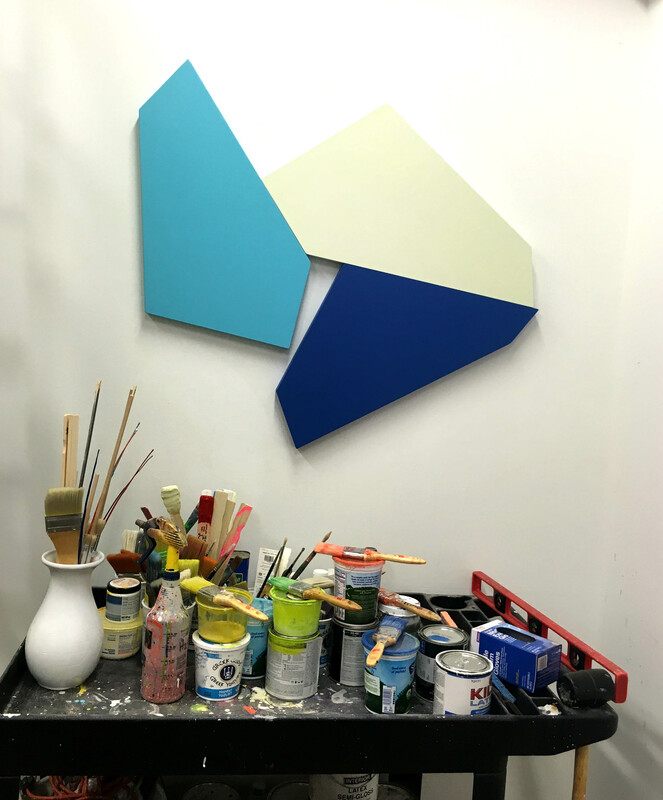 Although Laget was undoubtedly influenced by her time as Gene Davis’s studio assistant, her work is deeply rooted in her own distinct exploration of color composition and shape precision. KAC took advantage of Laget’s four day Houston visit to discuss her artistic process, cultural influences and life balance. KAC: The painting commissioned for Johnson Law Group is part of a larger body of work. What was the catalyst for this series of forms and have they always been a part of your visual dialogue? ML: The image for this commission originated from several drawings based on mosaics. The idea was to scale up the tessellation to a monumental scale for the architectural space. Last year I took a trip to Morocco and stopped in the historical ruins of an old Roman town. 2000 years later the mosaics were virtually intact, and the geometry is still universal. I made a series of works based on those patterns but exploded the rigid predictability so that the motifs began floating in space. 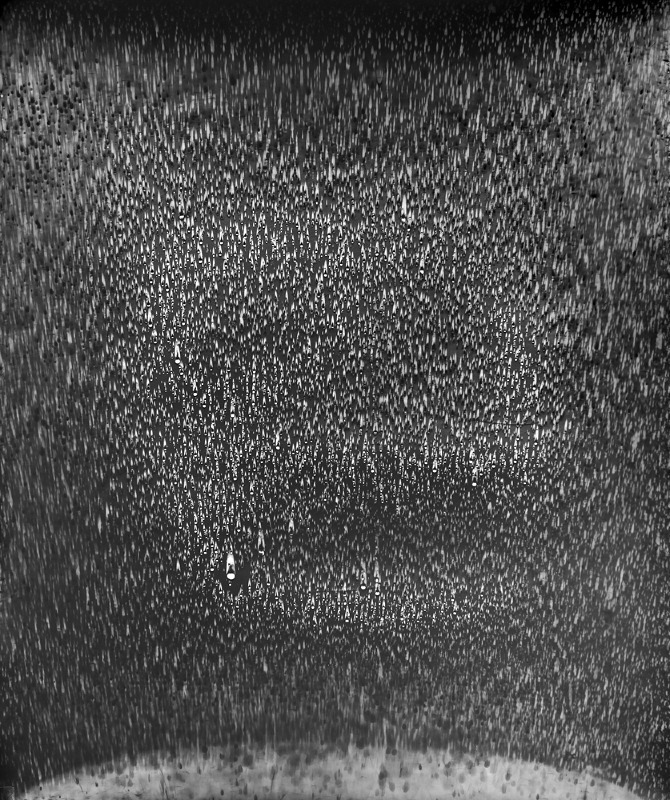 I then integrated the idea of perceptual ambiguity so that depending on where you stand, the elements of the piece appear at once to come forward or recede to invisible vanishing points. Much of my work plays on perceptual ambiguity. KAC: This painting is much more complex than meets the eye and the completed work will be the result of multiple steps and extreme attention to detail. Will you please describe the process that goes into a wall painting like this? ML: As with all of my paintings, the preparation sketch is a small pencil drawing on graph paper. From these I select a specific configuration to further develop. Color, however, is never planned in advance. In the case of a mural, I create a more detailed sketch and envision several color schemes that can change at the last minute. For this project, I wrote software code to create a computer representation and refine the color selection. I work with an engineer who takes my program and generates what looks like pages of numbers but is actually a series of mathematical equations to generate coordinates that allow us to modify or laser plot the image in the correct scale onsite. KAC: What is the largest painting you've completed to date? ML: In 2007 I was commissioned by the Washington DC Commission on the Arts and Humanities to create a 450’ x 50’ street painting on 8th St NW. It was part of a citywide Color School revival. I called it Gene’s Jubilee as a nod to Gene Davis, a Washington Color School painter. I worked as his studio assistant for 4 years and when he died suddenly, I was asked to design the first street painting below the National Museum of American Art where his memorial exhibition was. That was in 1987 then I reprised a different color scheme for the 2007 painting. You had to be on a rooftop or in a helicopter to see the whole thing. KAC: You've stated that you gather creative material from your travels. Are you gathering ethereal data such as light, awareness and emotion or physical data like architectural shapes and design form and color? How do you document your discoveries? ML: I have moved around my whole life. Travel is lifeblood; it connects the planet. Humans are not so different worldwide but their cultures and creations are. Every place I visit gives me ideas, whether it is an exotic land or my own back yard. I try to note them in my notebook every morning. They become a kind of library to draw from. I may be interested in the obscure historical use of red in India vs. Japan, or the plain shadows cast on a corrugated shelter in Africa. Light sources are tremendously important in my work, going back to my early years growing up near the Sahara. Ultimately what I paint is the sense of place, real or imagined. KAC: Will you speak to how your secondary role as a simultaneous French interpreter informs your work and provides balance in your life as an artist? ML: I’ve been fortunate to have a skill, which allowed me to work as another kind of bridge builder around the world. As a simultaneous interpreter, I am engaged in quasi performance art. In art you often work alone but in language you are compelled to interact with the world and those in it. I greatly value my privacy as an artist, but I never wanted to spend my life in studio isolation. It’s important to live in your time, experience it, and strive to understand it. KAC: What might we find in the corner of your studio? 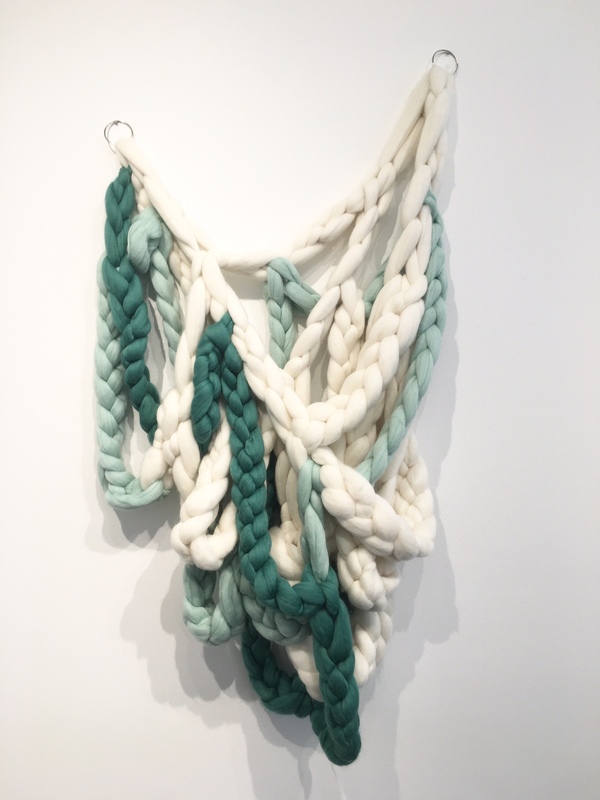 Mokha Laget is represented in Houston, Texas by Gallery Sonja Roesch and in Santa Fe, New Mexico by Peyton Wright Gallery. Strikingly articulate and exceedingly experimental, artist Gabriel Dawe is breaking down barriers of a traditional male Mexican artist as he constructs geometric and fantastical illusions through the use of textile and thread. KAC had the pleasure to meet with Dawe in Dallas during his residency at Fairmont Hotel. Located in the bustling art district of downtown Dallas, Dawe innovatively transformed his temporary studio space into a colorful and dynamic solo exhibition. 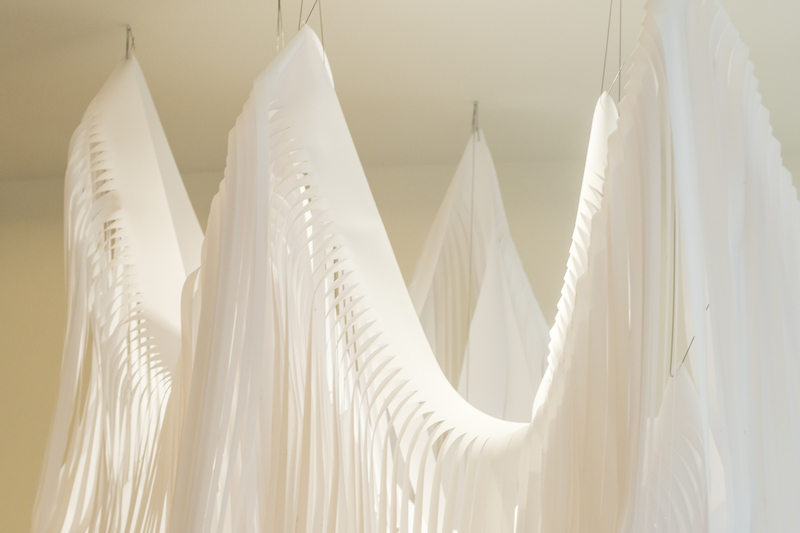 Responding to the architecture and environment, Dawe's installations become an open dialogue between art and space. While this process creates unique, site-specific works of art, there is a found unity throughout his collection. Every installation is developed from the full color spectrum, resembling light rays. Only experimented once before, the installation presented in Dallas, explores the cooler side of the spectrum, staying exclusively with blues, violets, and shades of pink. Here Dawe begins to omit part of the color spectrum, a preliminary investigation into the absence of color. This new departure is one he addresses further in his current exhibition "Plexus 37" at Conduit Gallery. 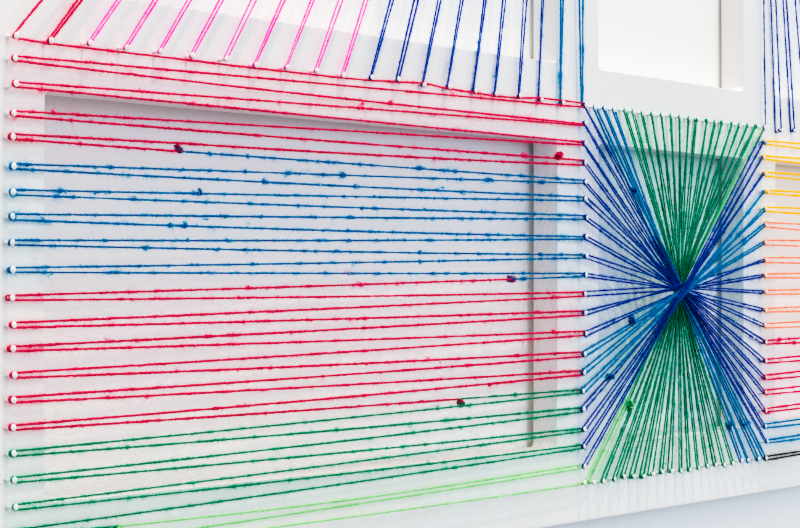 Living and working in Dallas, locals have come to familiarize themselves with Dawe's brightly colored thread installations. Therefore he decidedly turned a 180 in his recent endeavor by masterfully abandoning color through the use of gray, silver, and black threads. The viewer is forced to see beyond the spectrum, cerebrating this omission to be not an act of defiance against that traditionally associated with color, but perhaps as a "silver lining" on what is next for the renowned artist and his forthcoming work. 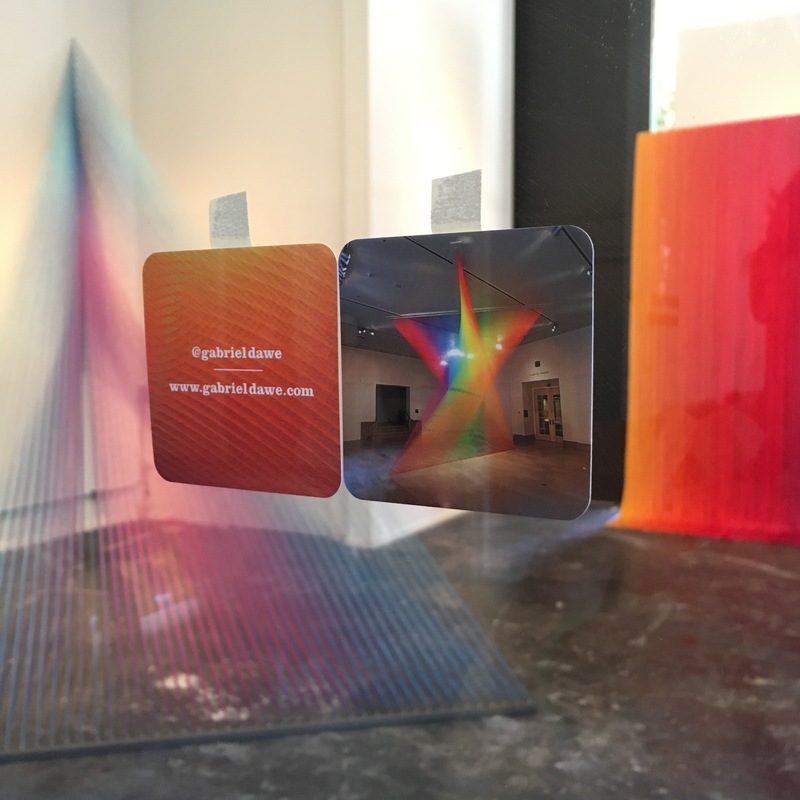 Gabriel Dawe is represented in Dallas, Texas by Conduit Gallery. 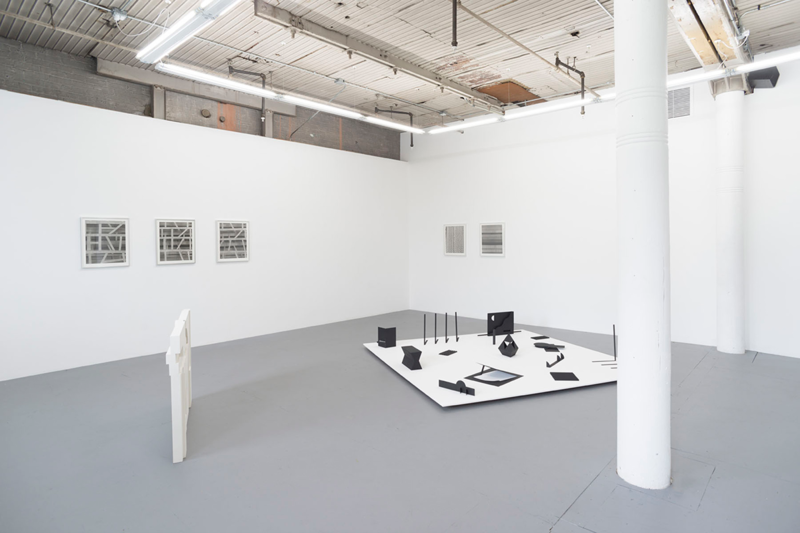 Dawe is on view now with Conduit Gallery through May 13, 2017. Portland based artist Elizabeth Atterbury talks art, inspiration, and the transition of being a new mother with KAC in our latest Interview Interview. Myke Venable's work investigates the infinite potential and purity in shape indicating a visual representation of his own paired-down universe. From detailed sketches in an open notebook on the worktable to mathematical drawings tacked to the wall, Venable's studio is a perfect diagram of his working and theoretical process. During our visit, KAC viewed Venable's newest body of work and saw how his paintings have evolved into what they are today. While teaching at The Art League in Houston, Venable rediscovered his love of drawing. 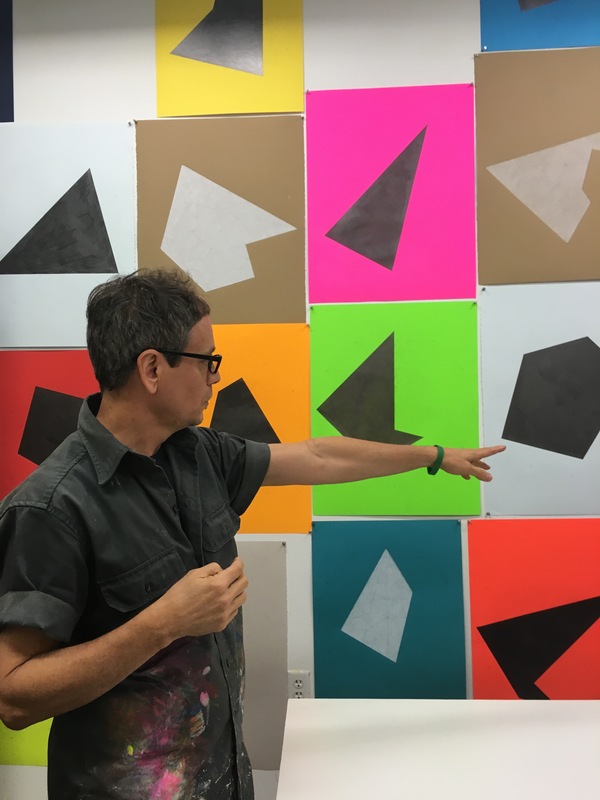 He has since dedicated one of the largest walls in his small studio to colorful geometric explorations, mapping out on paper his ongoing study of the complex relationship between shape and color. While he views his drawings as independent works, they also serve as inspiration for shaping his large canvas and panel paintings. The drawings come to life on wood panels covered with pristine layers of acrylic paint squeezed straight from the tube. Mixing colors, he explains, would complicate his process of instinctually matching color and shape. 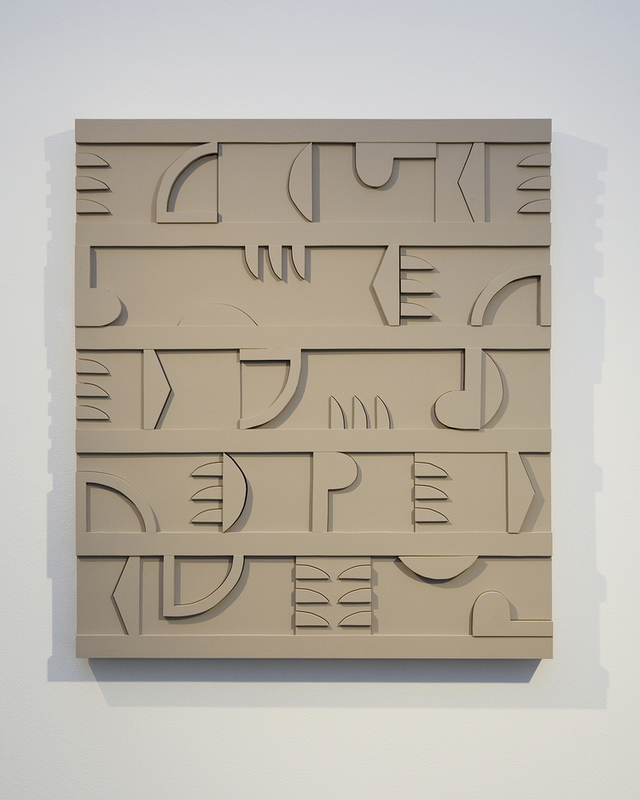 Venable then focuses on creating thought provoking relationships through the particular arrangement of each element on the wall. 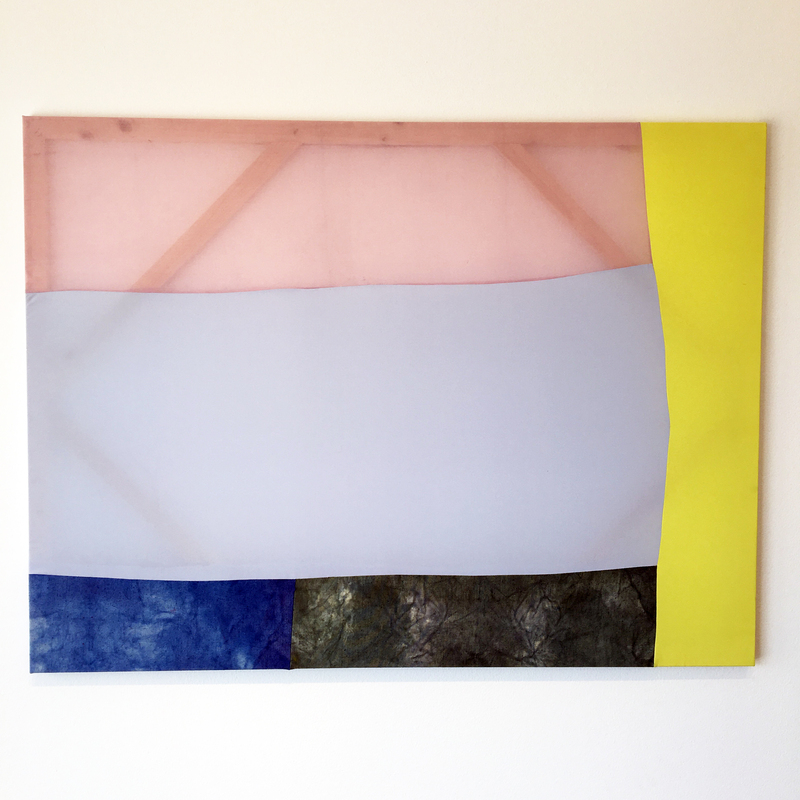 Venable’s newest paintings cleverly juxtapose not quite symmetrical shapes with slightly irregular placements and parings. Tension builds within the negative space between the paintings as they barely touch, leaving the viewer to question whether the forms are merging together, floating apart or statically coexisting. Every combination creates a new dynamic that alters the energy of the cluster itself, therefore impacting the space in which it resides. Looking ahead, Myke seeks to push boundaries of depth, scale and color. Myke Venable is represented in Houston by Gallery Sonja Roesch where his next exhibition opens on January 21, 2017. 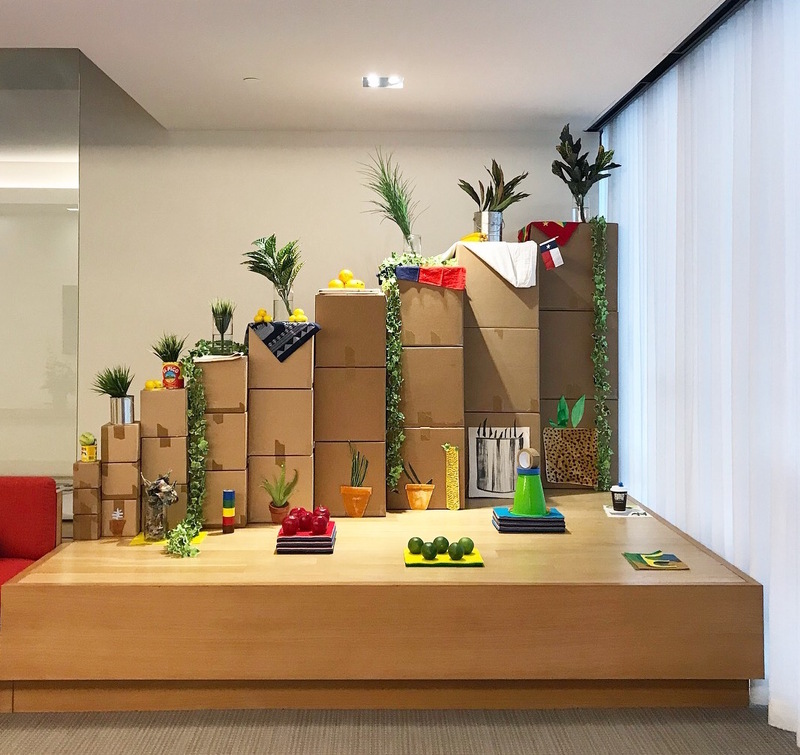 Kinzelman Art is proud to announce the completion of two site-specific commissions created for Trammell Crow's Energy Center 5 building lobby located in the Houston Energy Corridor. In May 2016 we installed these unique works of art by artists, Val Britton and Ara Peterson enhancing the elegance of the interiors and infusing energy into the lobby. Ara Peterson, "Travertine Wavepack" and Val Britton, "Continental Collision"
Click here to view the video: Val Britton and Ara Peterson Site- Specific Installations. With more than 40 offices worldwide, international energy trading company, Vitol, has one of its largest operations in the Upper Kirby neighborhood of Houston, Texas. 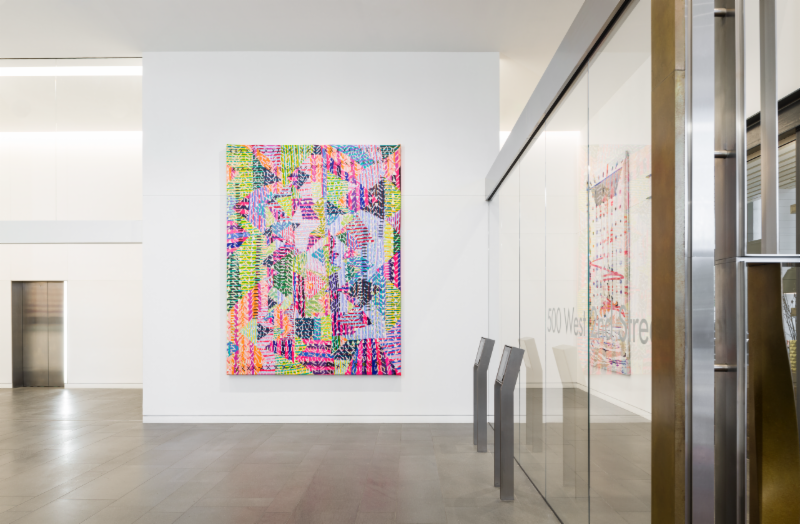 Kinzelman Art organized the relocation and exhibition of Vitol's art collection, (as managed by Kinzelman Art since 2010), to Vitol's new award winning offices designed by interior architecture firm, PDR Corporation. Successfully working in tandem with one another, the modern art collection and the sophisticated interior architecture expands one's experience of the typical corporate environment by creating a progressive, museum-like work place environment. Terry Winters, "Picture Cell", Rusty Scruby, "Family" and "Blue Bucket", and Hana Hillerova, "Houston Can You Hear Me?" 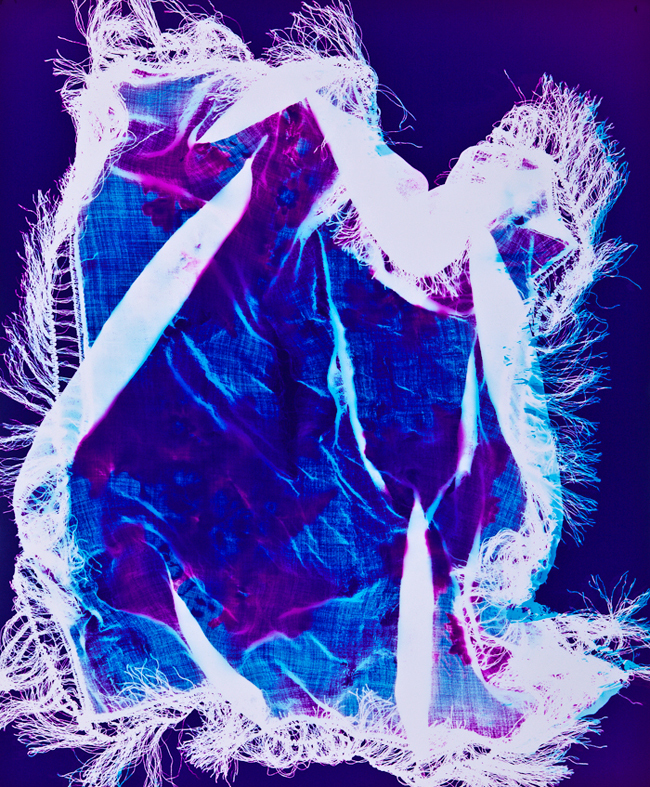 California based artist Klea McKenna walks KAC through the evolution of her first beginner photography class to her ongoing experimentation with photograms. Read our interview below to learn how McKenna continuously pushes the boundaries of traditional photography practices, producing an innovative body of work. McKenna is represented in Los Angeles, California by Von Lintel Gallery. 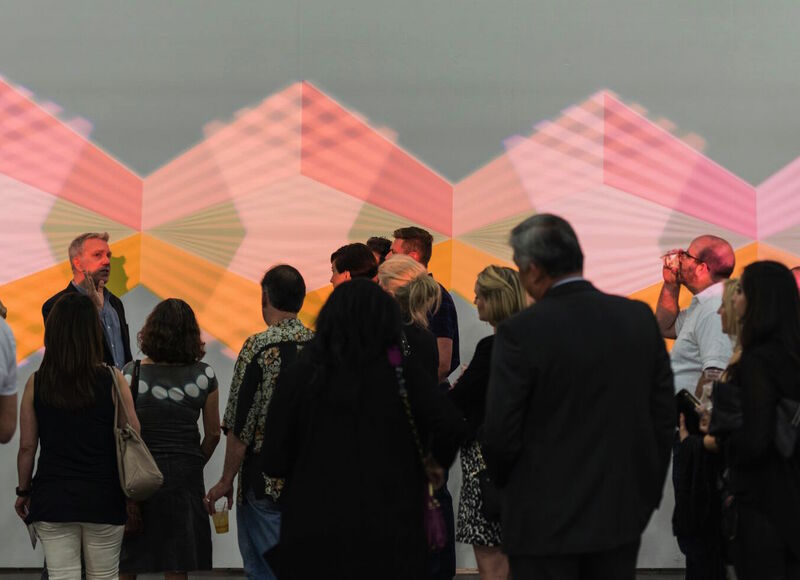 KAC is pleased to share our exclusive VIP pass to Houston's leading art fair, Texas Contemporary, opening Thursday September 29th, 2016 at the George R. Brown Convention Center. CLICK HERE to obtain your pass, which grants free access to the Thursday night opening preview, and admission to all public days of the fair. 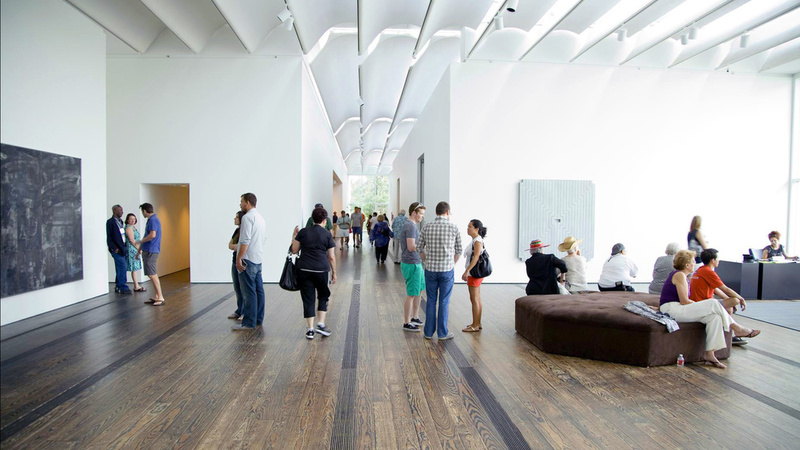 We also encourage you to consider upgrading to a Patron Pass, which raises funds to benefit the Contemporary Arts Museum, Houston. We can't wait to see you there! 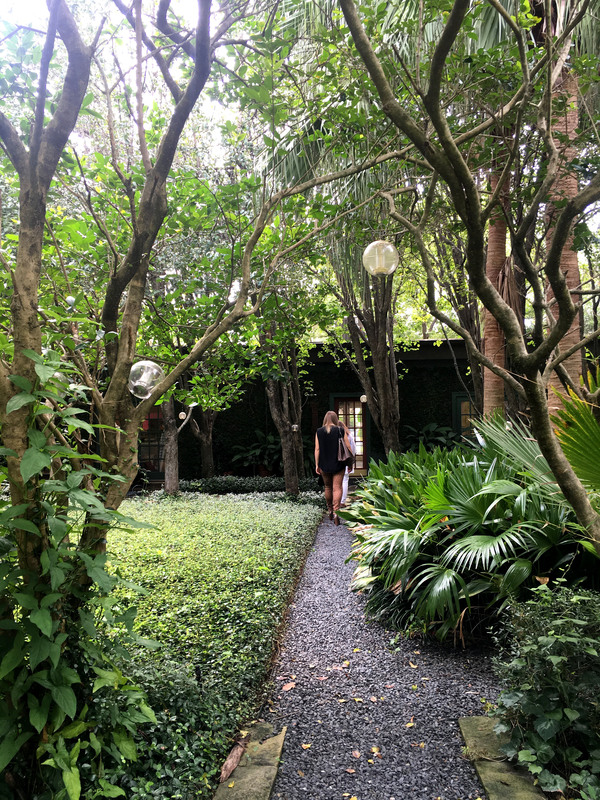 Hidden at the end of a beautiful lot densely populated by lush Houston greenery, Libbie Masterson's studio feels like her own personal oasis. The high ceilings and large windows yield a flood of soft natural light ideal for viewing her vast array of work including photographs, paintings, watercolors, glass mosaics and even stage set maquettes. Masterson's lively persona is a striking counterpart to her tranquil, contemplative work. 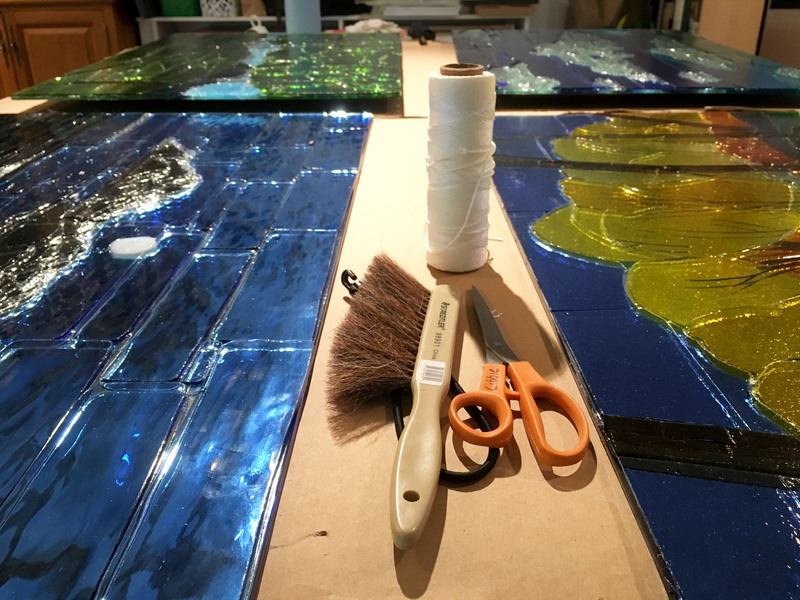 Our studio visit began with a look at her new glass mosaics, an extended exploration of her large-scale installation at the Houston Hobby Airport. These works are heavily influenced not only by Masterson's affinity for nature, but also music. Masterson shared her life-long fantasy of composing a symphony, and explained to KAC how she incorporates this hidden passion into her work by listening to songs on repeat and allowing the music to dictate the emotional direction of each mosaic. 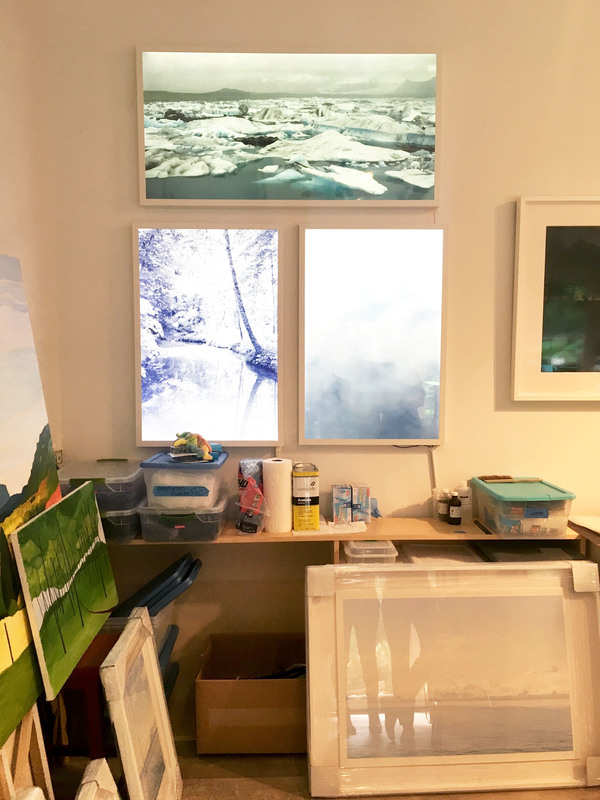 The imaginative glass compositions provide a splash of color to Masterson's otherwise monochromatic studio, filled with icy landscape photographs of deep grays, blues, and whites. These mesmerizing and meditative photos are back-lit and displayed as illuminated light boxes. Masterson walked us through the rewarding process of working with the light boxes, and calculating the perfect hue and strength of light to properly enhance the imagery without overpowering it. Masterson’s dream project: set design for an entire opera! Her infinite sources of inspiration and matching talent pose a promising future of endless possibilities and exploration. Be sure to attend her upcoming exhibition, opening September 10th 2016 at Catherine Couturier Gallery, who represents Masterson in Houston. 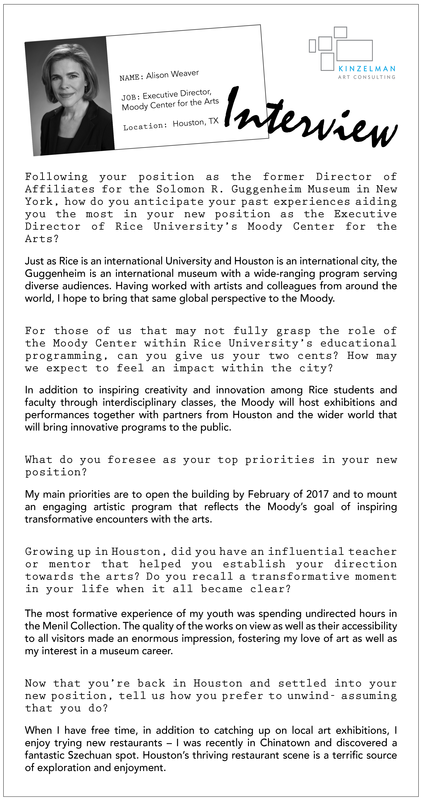 Former Director of Affiliates for the Solomon R. Guggenheim Museum in New York, Alison Weaver, walks KAC through the exciting transition into her current position as Executive Director at Rice University's Moody Center for the Arts. Check out our interview below to get the details on Weaver's return to the Houston art community! 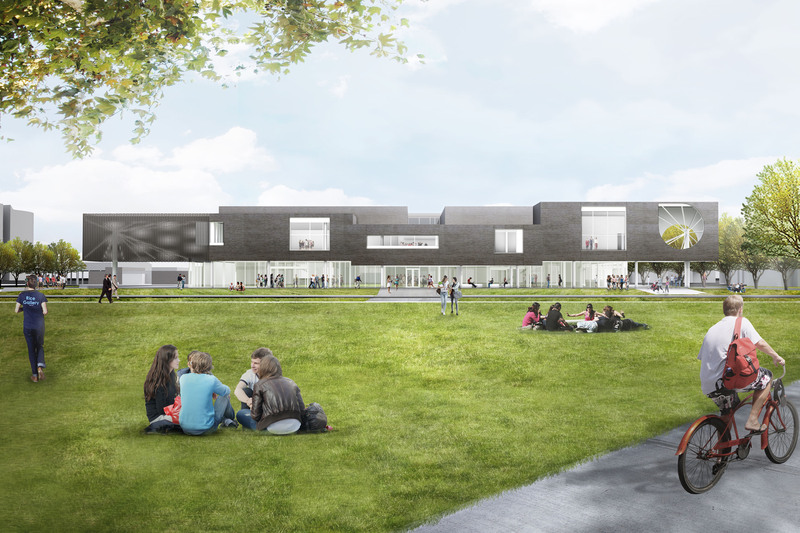 Don't miss Rice University's new Moody Center for the Arts, opening to the public in February of 2017. 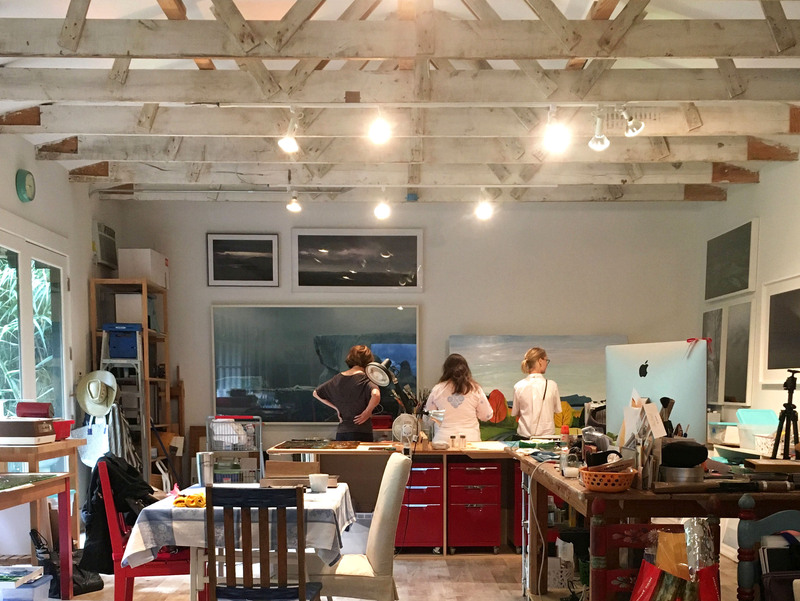 On our latest studio visit, KAC got an inside look at Sharon Engelstein's eclectic studio, settled in the core of Houston's Museum District. 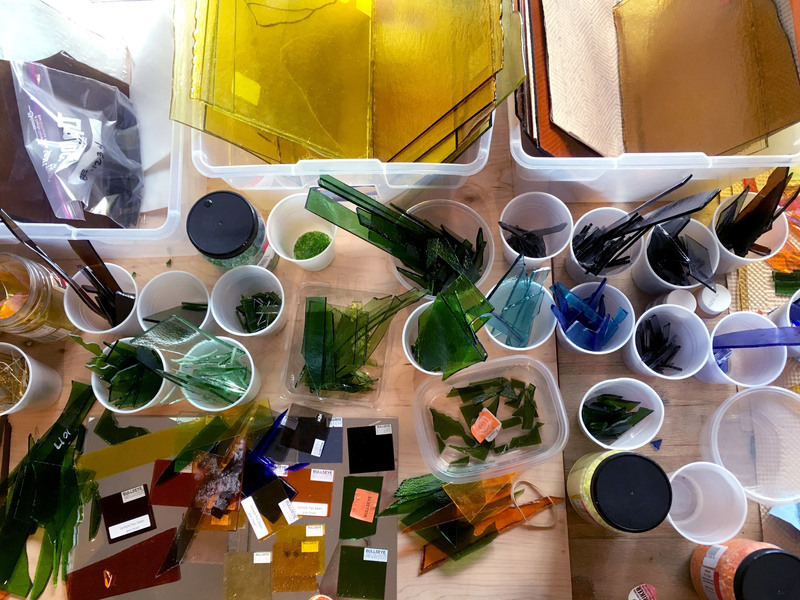 Engelstein's studio is a breath of creative fresh air, fully equipped with a professional-grade kiln, her collection of colorful children's toys and all other essential elements to her creative process. 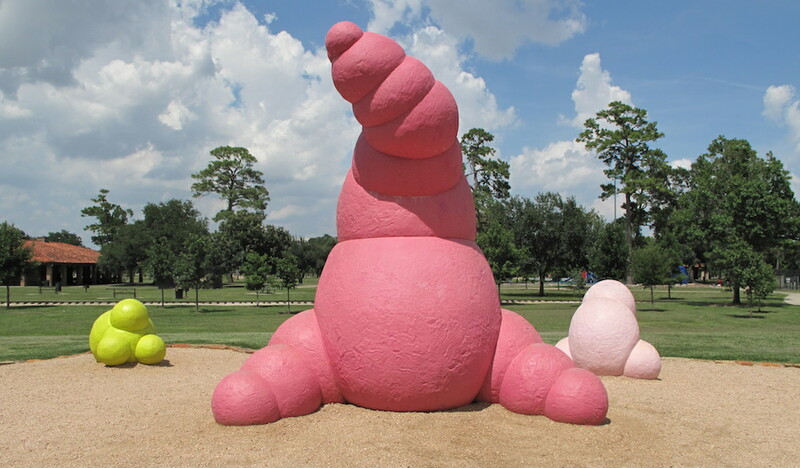 Engelstein is commonly known for her sculpture “Dillidiidae” that is currently on view in Hermann Park. This exuberant piece has served the community as a public art landmark for the past two years. Her imaginative and anthropomorphic forms range in scale, material, and purpose, and KAC was eager to see what's currently cooking in her studio. Ceramic sculptures, "Feel Fine I" and "Feel Fine II"
Upon expressing our curiosity, Engelstein proudly revealed her growing collection of small organic clay sculptures. While staying true to her barnacle-like forms, she has temporarily stepped away from her meticulous planning process that traditionally plays a significant role in her work. This shift encourages Engelstein to work more intimately within her studio, allowing her sculptures to evolve into their own individual identities. We can expect to see great things from Engelstein, who says her best work has yet to come. Sharon is represented in Houston by Devin Borden Gallery and will have her next exhibition in 2017. 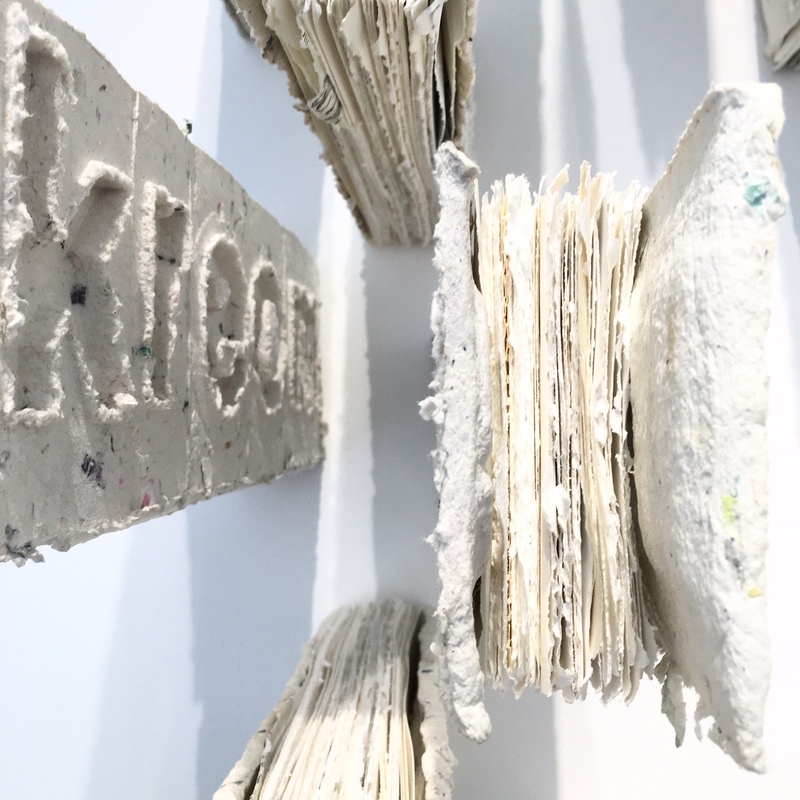 Kinzelman Art is celebrating the completion of a 4-year, comprehensive art management initiative for a corporate client collection. Managing this collection has been a significant opportunity for Kinzelman Art, and we are proud of our dedicated efforts and achievements through this ambitious undertaking. KAC is honored to have been selected to expertly lead this outstanding collection. Recognized by the Houston Business Journal as the 2016 recipient of the Landmark Award in mixed-use development, Hughes Landing is a 66-acre master planned community located in The Woodlands that features numerous works of public art throughout. Continuing the collecting philosophy of The Woodlands, Hughes Landing retained Kinzelman Art Consulting to procure and commission several public works of art for select locations to further enhance the community. We were thrilled to add to the magnetism of Hughes Landing via the placement of invigorating works of art by such artists as Mexico City based Yvonne Domenge, and Washington State artist Julie Speidel. We find that the overall success is seeing these public works of art serve to unify the community through an artful experience. 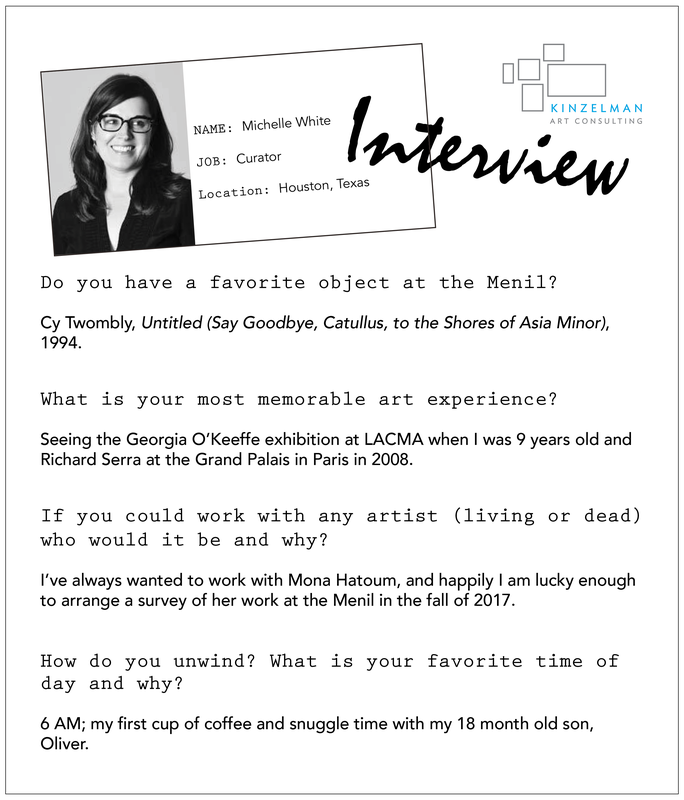 KAC asked Curator of The Menil Collection, Michelle White for an inside look into her daily life and points of inspiration. See what this Houston art community power house has to say. Welcome to the block, Capsule Gallery! 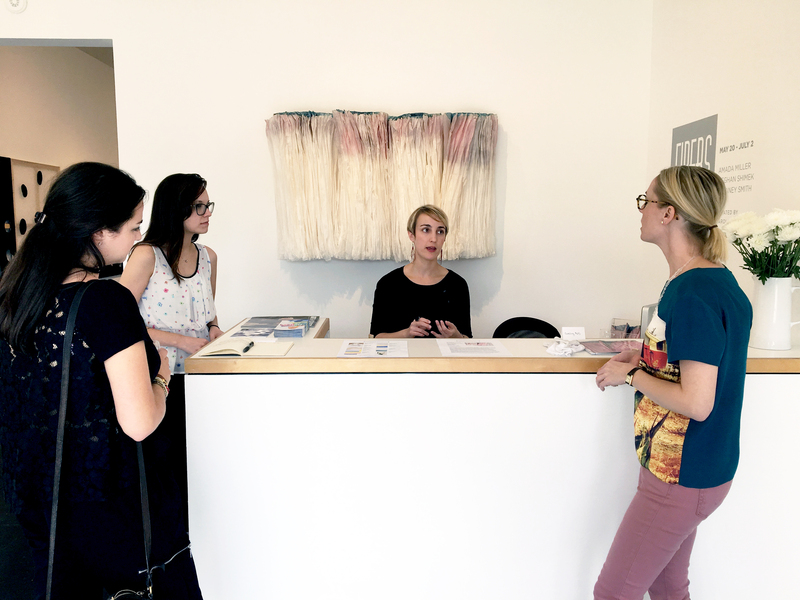 KAC got an exclusive look at our newest neighbor, Capsule Gallery. True to it's name, the tucked away space on Main Street is quaint yet open and full of fresh and innovative ideas. We had the pleasure of chatting with Capsule's owner and director, Sarah Sudhoff. Sarah's dynamic background reflects the gallery's whimsical and refined array of works. The innovative progarm combines contemporary photography and craft, representing emerging to established artists. 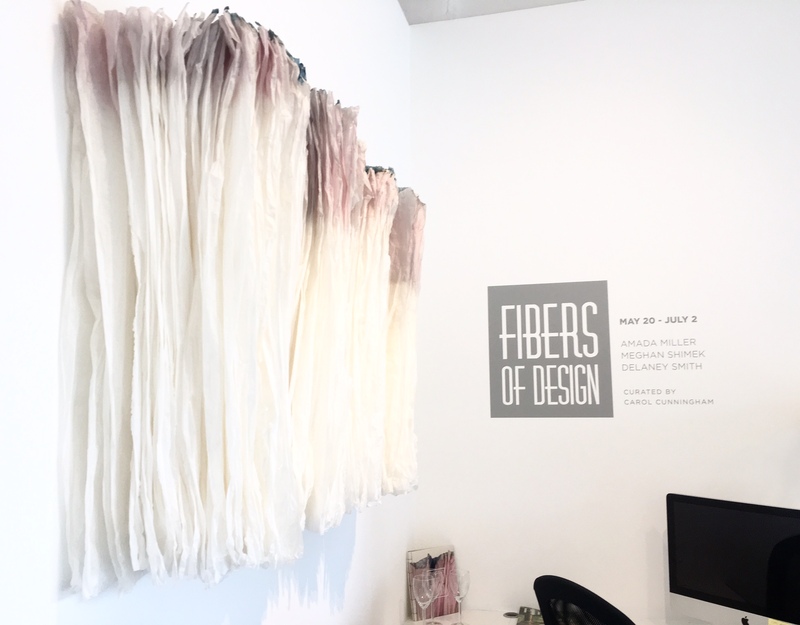 Capsule Gallery kicked off the summer with exhibition, Fibers of Design, featuring three craft artists, Amada Miller, Meghan Shimek, and Delaney Smith, who work in various textured mediums. Texas based artist, Michael Kennaugh, talks art with KAC. In this exclusive interview Kennaugh describes his experience in the growing Houston art scene and the colorful inspiration behind his process. He also reveals a glimpse into his forthcoming body of work. Founder and Director of bitforms gallery, Steve Sacks, gives us the inside scoop on his quirky upbringing, his futuristic gallery, and his twenty-first century go-to technological tool in this exlusive interview with KAC. KAC got together with Rainey Knudson for an exclusive interview discussing the forthcoming April 30th OFF ROAD event with William Wegman. Here is what Founder and Publisher of the Texas arts online magazine, Glasstire, has to say.